“Play or Die”: a call to action by Anthony Braxton in the seventies. We are definitely still in agreement. Improvised music has to be heard live to be best appreciated! AND musicians practicing this rugged discipline must perform to a live audience as often as possible in order to evolve, in order to feed the mind. 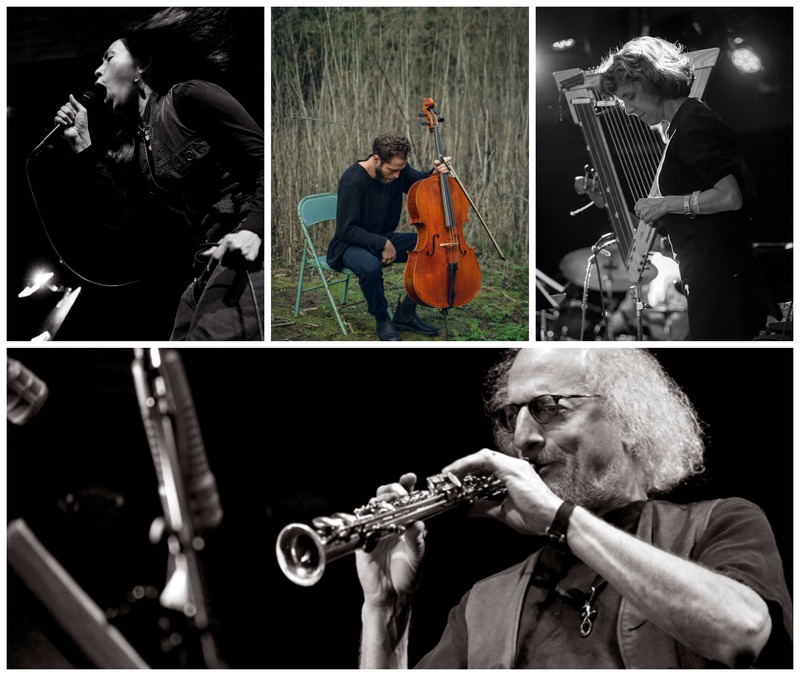 Tonite Larry Ochs and long-time collaborator – vocalist Dohee Lee – are joined by the master harpist Zeena Parkins and the dynamic Teddy Rankin Parker on cello. This will be TRP’s first musical hook-up with Ochs. Parkins performed with both Lee and Ochs as a guest for one night in 2008 with their band “Kihnoua”. She has also performed in Rova’s “Electric Ascension” in both 2009 (Austrian jazz festival) and 2016 (in New York). She also has performed and recorded with Ochs and his trio “Maybe Monday” (2007). Lee and Ochs (and Scott Amendola) have played in the band “Kihnoua” since 2007, although since the last tours in 2010 and 2011 performances have been few and far between. So this should be an exciting night.